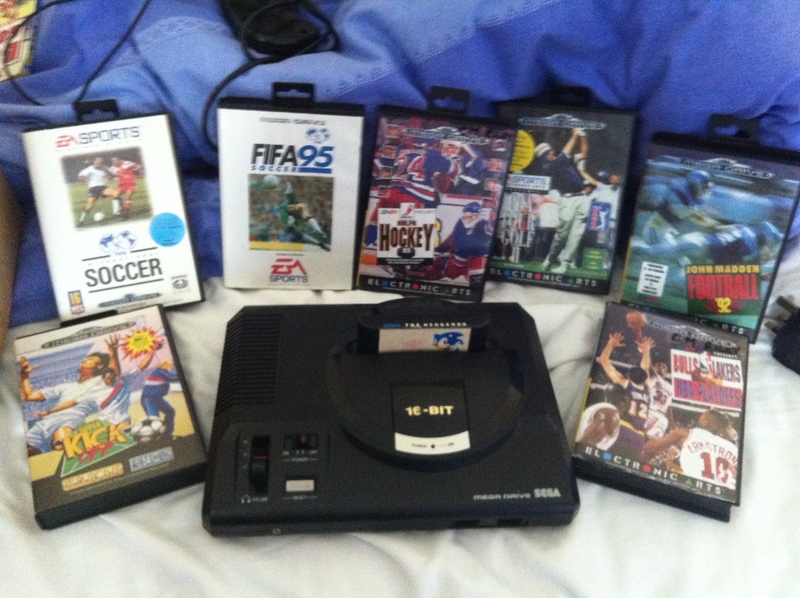 I had an absolute blast from the past the other weekend: I found my old Megadrive! I got mine quite late, one of my Uncle’s passed it to me when they bought a PS1, but my parents were never keen on computer games (unless it was there own). Still, I spent many a happy hour playing with this machine, and it still works! I know XBOXs that haven’t lasted a tenth of the time this has, and the games are still playable. I’m moving back to Reading permanently at the beginning of September, and I feel that this machine would fit in perfectly in our 80s style living room. I’ve got the Sonic theme stuck in my head just thinking about it! Does anyone else still play old consoles? Maybe for a laugh with mates? Let me know if you do, I’d love to hear about it! Ah, the continues! I spent a whole summer trying to collect every chaos emerald. Don’t think I ever managed it. A new challenge I guess! My old school sega just died… but I do have Sonic’s ultimate genesis collection for my 360. I can spend hours playing Sonic. I also have the Mario Anniversary game for the Wii, it has all the old NES and SNES Mario Games. I actually prefer them to newer games; they’re easier, haha. Haha, I still find Sonic so difficult on the Megadrive once you get through the first 3 zones! I’ve completed Mass Effect, yet I find staying alive and jumping on things difficult! Megadrive? Genesis? Doesn’t matter what it was called, it was awesome. I’m one of the few in the US that had a Sega Master System over a Nintendo years ago. I never did conquer Alex Kidd in Miracle World. *sigh* I still can’t either, even on the Wii Virtual Arcade version of it. Oh man… I can’t wait for work to end now. This has the potential to take over my summer!